Pinball machines have high voltages which can cause DANGER TO LIFE AND LIMB. 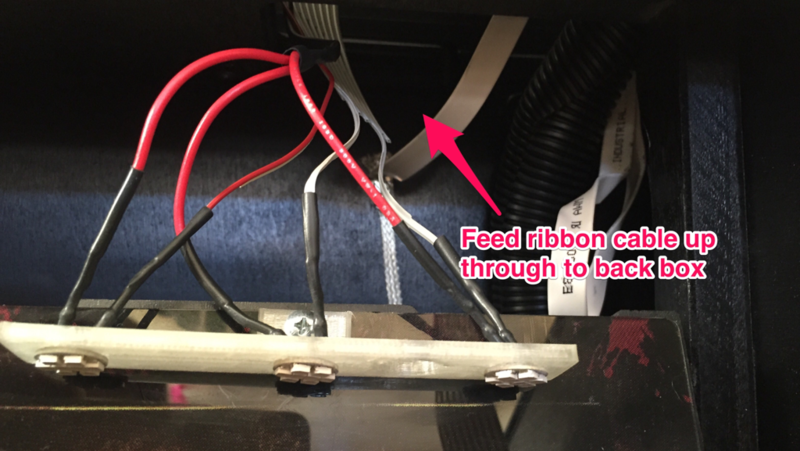 TURN POWER OFF and UNPLUG PINBALL MACHINE prior to installation. Pinball machines are high voltage and can cause electrical shock. SAFETY GLASSES are also recommended while working with or installing pinball parts. Please follow these safety instructions as well as all installation instructions. Failure to follow these instructions may result in damage to the pinball machine, accessory or other parts. Please see our Disclaimer for associated risks and responsibilities (Section 13 in our Terms of Service) prior to installation. Images included in these instructions are of an installed prototype and may vary from your product slightly. If you have questions or concerns regarding the proper installation of this part, please contact us for assistance. 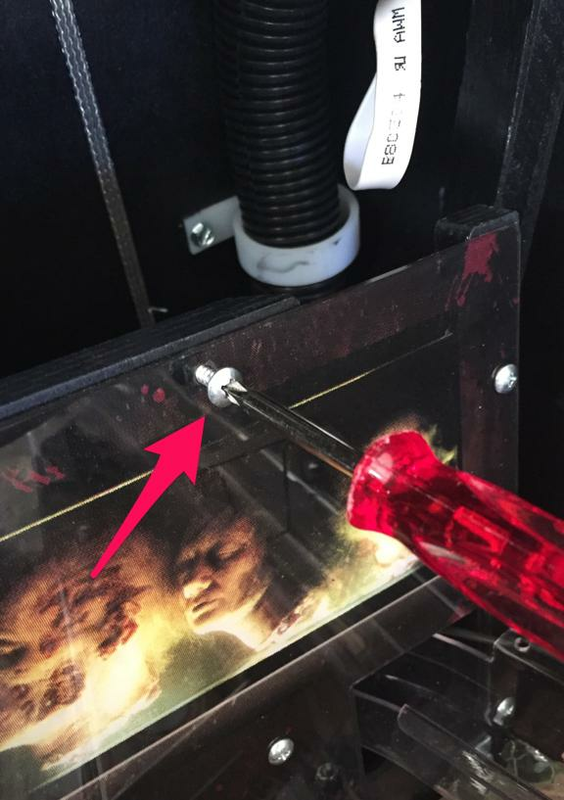 When removing screws from the playfield, reinstall by first turning them counter-clockwise to match the original groove in order to respect the integrity of the playfield wood. Remove playfield glass and back box glass. Set aside. Remove screw from above the Governor's Fish Tank image under back box. Attach Fish Tank bracket so lights are facing downward using existing screw. Remove the J7 connectors from the control board (note both J6 is showing the disconnected view). 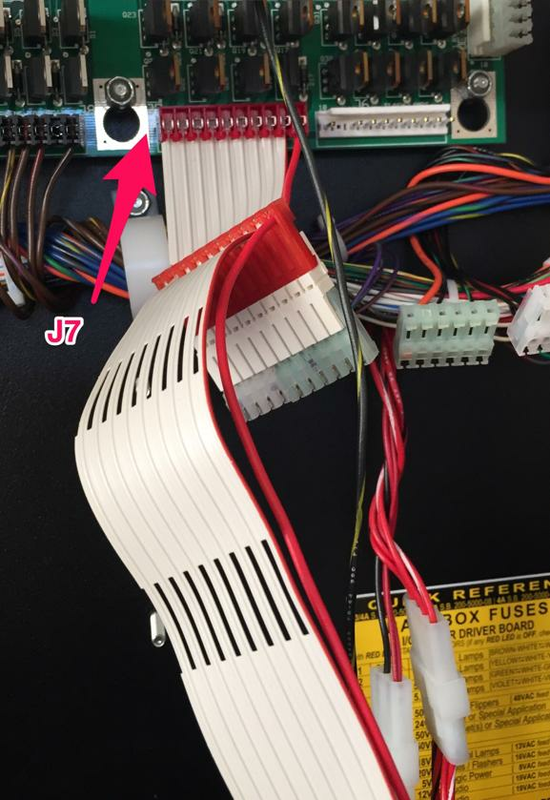 Connect the end of the ribbon cable to the board and the white z-connector into the J7 connections into the game. NOTE: If you are installing the Fish tank mod with the Stern topper, utilize create a second jumper with the Fish Tank and topper connected to one another, then the original J7 connection. Replace back glass and playfield glass and you are done! NOTE: Please take care when moving the playfield into the upright position once this mod is installed. It can catch on the back box and snap off! Copyright Mezel Mods- 2016. All rights reserved. Because stealing is wrong and mean. Can you use the TWD Pro Fish Tank Illumination Kit with a Stern TWD topper?